This is the ragu meat sauce that Adriano makes for me when he cooks pasta. It’s one of his Italian family meals. And he is such a great husband that he has converted it to a low Fodmap version. So this is an Italian low Fodmap recipe. It is super tasty and always appreciated. Chop up the carrot and celery small and fry in a little oil. After two minutes, add the mincemeat and fry until browned. Add the herbs and the can of tomatoes. Cook on a low simmer for 1-1.5 hours. Adjust the seasoning and serve with pasta. I will be here if you ever need me, Marta. I love a good meat sauce! And I always serve it with a tubular pasta as you did. I always top my serving with Parmesan too — love its flavor. I love adding Parmesan to pasta. I tried photographing the Parmesan falling onto the pasta but I didn’t manage to capture the moment. It didn’t exactly rain down, it fell in a clump. Never mind, it tasted good. I couldn’t agree more! 🙂 I SO appreciate you sharing your study and experience, and your delicious recipes. It’s so great to know there’s a blog I can follow and trust on my low FODMAP journey. Thank you! Thank you! Thank you! Thank you, Chantelle. I appreciate your kind words. I try to keep it real so that other sufferers can find good accurate information here. Thank you for confirming my idea about Paleo/ Fodmap. It has not worked for me. I am now back doing fodmap with the slight adjustments that suit me. I am currently feeling very well. We are spending some time in Asia, but I find that it is easy to find food for me to keep on track with. I am glad to hear that you are doing well on the diet and that you have found a way that suits you. We are all so individual and one size does not fit all but I would definitely not recommend a Paleo version of the low Fodmap diet. Enjoy your time in Asia – the food is delicious there. I consider YOU the fodmap expert! I had not heard of this diet and the success rate till you went through the elimination process yourself. Your ragu looks wonderful! Thank you, Liz. I feel like it. LOL. More and more people are hearing about the miracle of the low Fodmap diet and that makes me very happy. You are indeed lucky to have your sweet husband change a family recipe so that you can enjoy it without having repercussions…it sounds delicious. It is a good recipe and he is a darling for making the effort. I try to keep it straight and to be up-to-date with the research. The internet is wonderful but it can put you so wrong on a lot of things. Lightbulb moment! You have just made the most sense to me – thank you! I have been trying to work out why I’m struggling – adopting a Paleo lifestyle to assist autoimmune issues (hashi’s & celiac) with nothing but digestive trouble. 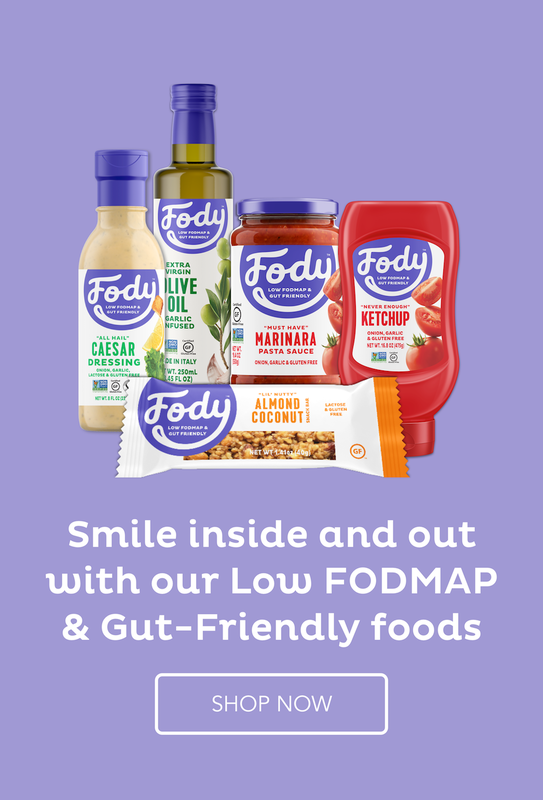 I recently realised FODMAPS are a big problem for me & try as I might can’t seem to get Paleo + FODMAPS restrictions to a workable place without grief. I’m new to your blog & already you have confirmed I’m not going insane. Thank you so much for sharing your knowledge. Don’t you love those light bulb moments!? You are not going insane. It is hard to find the right path but I am glad you have found it now. I have coaching programs for those on the low Fodmap diet. If you are interested in knowing more about them, you could fill in the form here: http://www.strandsofmylife.com/inspiredlife and I will give you a call. I have your form and will respond shortly. You have had a tough road to follow but how wonderful that you have now discovered a diet that can help, however complex that will be. We are all different and have to make adjustments to the diet. Good luck and if you need help, I have a few different low Fodmap coaching programs that could help you. Use the contact form if you are interested in knowing more.